Love the Outdoors? 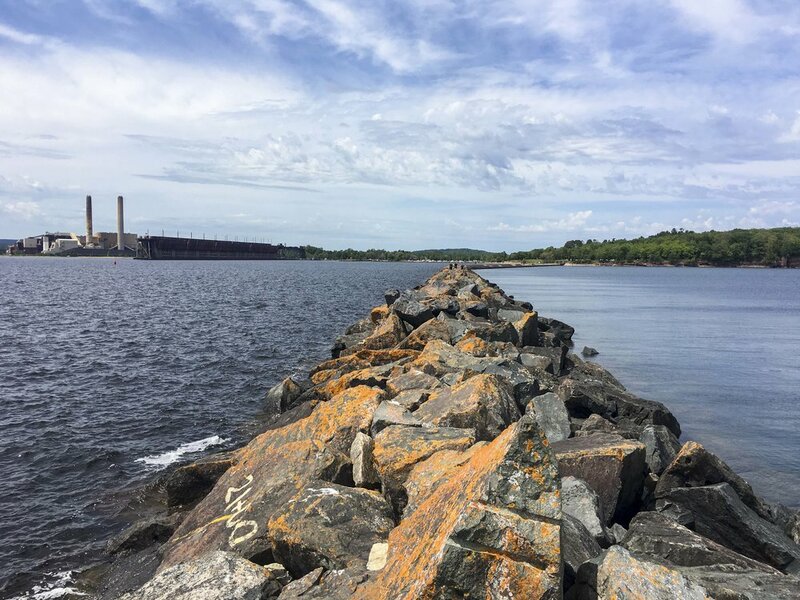 Visit Marquette, MI! Michigan’s “UP” (Upper Peninsula) is known for its natural beauty, awesome outdoor activities, and great people. We fell in love with the UP last summer, but only explored a small bit. We were determined to get back this summer and continue on. 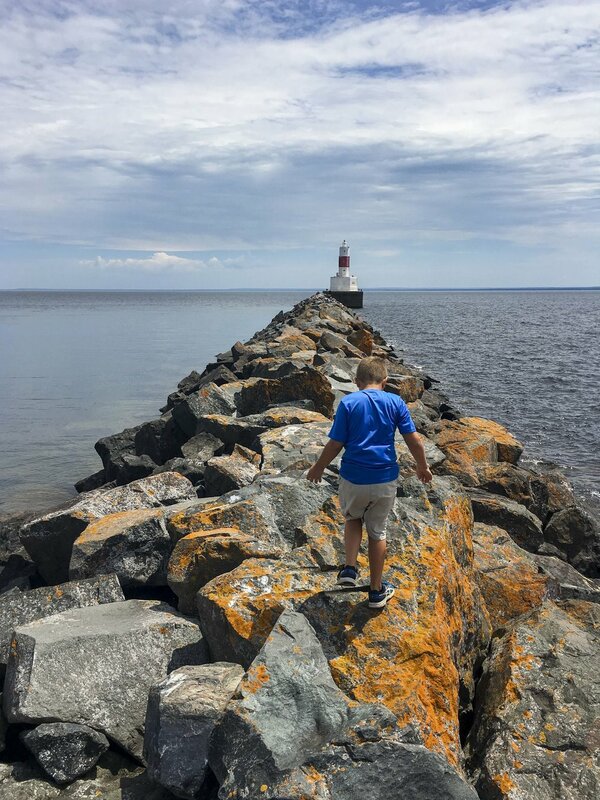 A few weeks ago we visited Marquette, MI on the south shore of Lake Superior and fell in love with the UP once again! We arrived in Marquette at 3 in the afternoon on the 4th of July! The streets were blocked off for the parade so we headed to the beach on the north end of town. Marquette’s waterfront is really impressive and expansive. There’s a large marina, pier, and park in town. A paved bike path heads west out of town and hugs the shore of Lake Superior. There are multiple parks and LOTS of public beach area. The sand is soft and the water clarity is great. When looking for places to stay, we always look for hotels/motels in the midst of the action and often end up in quirky local motels. We hit the jackpot in Marquette and stayed in a brand new Staybridge Suite that’s about .75 miles from the heart of downtown, which is walkable for us. There aren’t many options of any sort within walking distance of downtown Marquette, except a Ramada and the Staybridge Suites. We highly recommend the Staybridge Suites! Marquette has lots of dining options… far more than we found in the other areas of the UP we’ve visited. On the 4th, we went to Iron Bay Restaurant and Drinkery which is on the north edge of town across the street from the lake. It was super crowded, so we couldn’t get a seat on the patio, but had a great lake view from the dining room. Todd had baked whitefish, I had a chopped salad with whitefish, and Daniel had a cheeseburger and fries. Everything was fresh and good. The next night we went to Digs and loved it. Digs has a really relaxed and casual vibe, and lots of unique menu items. I had a fantastic beet salad with salmon and Todd had a smoked brisket sandwich… Daniel stuck with the cheeseburger and fries. We all really enjoyed our meals! Ok… we saved the best for last… all of the awesome outdoor activities! We originally thought we’d kayak, but were advised that kayaking on Lake Superior near Marquette is not very safe. Not to worry, there is plenty to do on land! There are lots of waterfalls in the Marquette area and you can pick up a “waterfall map” with all the tourist pamphlets at your motel. Dead River Falls was recommended to us as one of the best, so we had to visit it. Wow, was it awesome! To get the full experience, hike about 1.5 miles on the side of the river/falls. You’ll see new waterfalls at every turn. When you get to the top the hike back down is absolutely beautiful. We stopped at various points along the way to enjoy the waterfalls. There were also lots of dragonflies frolicking in the beautiful foliage, which made the experience even more stunning. The trail isn’t very difficult, but there are lots of roots and rocks to navigate. After exploring Dead River Falls we headed to Sugar Loaf Mountain to catch views of Lake Superior and the surrounding area. There are two trails up the mountain: easy and difficult. We took the difficult trail and it wasn’t bad… just a lot of roots and a quick incline. The hike up the mountain is totally worth it! There are multiple observation decks at the top and huge boulders to climb on. The views are stunning! After hiking we headed to Presque Isle for a picnic and walk on the pier. Presque Isle is a large park on the lake that includes biking and walking paths, sitting and picnic areas, and a pier. It’s a beautiful area to relax and enjoy the scenery! We love the UP and Marquette is a fantastic spot! If you’re interested in other UP destinations, check out our post: Michigan's Upper Peninsula... Pure Natural Beauty! Have a great time exploring!